A mural of a blind musician playing a harp, from the tomb of the ancient Egyptian scribe called Nakht. 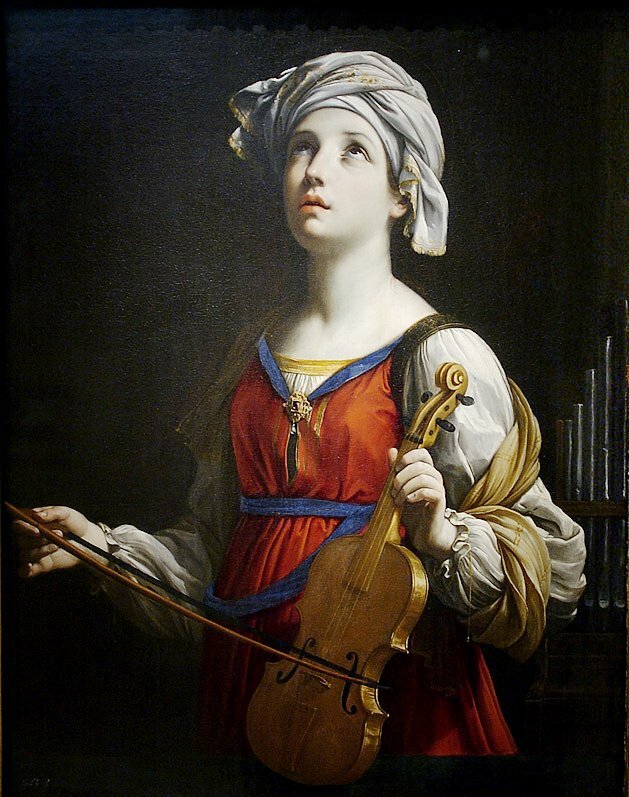 Saint Cecilia by Guido Reni, 1606. Guci art and blind court musicians, each shedding light on the significance of the other, appear in literature from Chinese antiquity. Those blind pioneers played a role in epic history while other blind people lived rather constricted lives. They are credited with having “magical auditory and tactile sense, prodigious memory, keen discernment and proficiency in temperament” in historical paradigms. Unfortunately, those blind artists have contributed greatly to the development of Chinese culture, especially in music – but hitherto their work has not yet been properly valued. This presentation recovers the fascinating ‘missing history’ with detailed extensive documentation, and suggests some reasons why these records and bias in later accounts disappeared from view. Why was the post of court musicians traditionally filled by blind persons in ancient China? Why could those blind musicians be monarch courtiers like other scholar-bureaucrats? Can their talents be considered irreplaceable by that of their rival sighted counterparts? Are they endowed with contributing musical performances only for hedonics? What’s the gendered meaning of those court musicians? This precious audio snippet featured the original record of the radio programme “Yongkang Guci” on August 28, 2009. This programme was a routine radio show from 12:30 am to 13:00 pm produced by the Yongkang People’s Radio at FM 106.6. In this record, the special guest star was the old famous blind Yongkang Guci artist TONG Zhao-ji (童兆基) (1938- ) from the Heng-yang village, Tang-xian Town, Yongkang city, who contributed to this authentic Yongkang Guci show in local Yongkang dialect. The earliest known Neumatic notations of Guci with Ba-ban style appeared in the English statesman and writer Sir John Barrow’s travel notes in 1804. Chinese Popular Airs. No. III. In: John Barrow (1804). Travels in China: Containing Descriptions, Observations, and Comparisons, Made and Collected in the Course of a Short Residence at the Imperial Palace of Yuen-Min-Yuen, and on a Subsequent Journey Through the Country from Pekin to Canton. p. 319. London: T. Cadell and W. Davies. Different Angles Different Rainbows: Miss Out On? 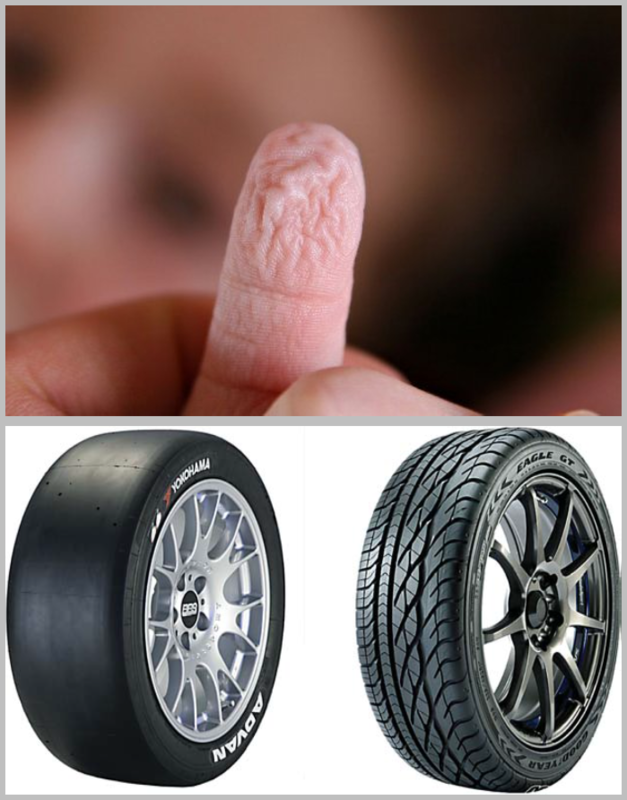 Are wet-induced wrinkled fingers primate rain treads ? All of the different colors of the rainbows are very recognizable and memorable to all who observe them, different angles and different scenes. Changing the angles could help us to appreciate the full effects of such an amazing feature of the Earth. Unfortunately, in scientific sphere, this common sense is conventionally understood as nominal rather than substantial. Novel insights always stem from encrypted puzzles with no beginning and no ending. Changing the angles would finally help us penetrate to the deciphering puzzles and the essence of reality. Tapping our heads, questioning ourselves – miss out on? Angell, J.B., 1885. A Need for a Careful Study of the History of China. Science, 6 (147), 479. Lawler, A., 2009. Beyond the Yellow River: How China Became China. Science, 325 (5943), 930–935. Wiener, Adi Sela. 2013. “The Historic Towns and Town Centres Concept and the UNESCO Recommendation on the Historic Urban Landscape: Is It a Natural Continuum or Have We Gone Too Far?” The State University of New Jersey. doi:10.7282/T3V69H5S. Viñas, Salvador Muñoz. 2002. “Contemporary Theory of Conservation.” Studies in Conservation 47 (Supplement-1): 25–34. doi:10.1179/sic.2002.47.Supplement-1.25. Cassman, Vicki, and Nancy Odegaard. 2004. “Human Remains and the Conservator’s Role.” Studies in Conservation 49 (4): 271. doi:10.2307/25487703. Wells, Jeremy C. 2007. “The Plurality of Truth in Culture, Context and Heritage: A (Mostly) Post-Structuralist Analysis of Urban Conservation Charters.” City & Time 3 (2): 1–14. www.ct.ceci-br.org/novo/revista/include/getdoc.php?id=475. Watts, Siobhan, Dave Abbott, David Crombie, Angus Gunn, and Annemarie La Pensée. 2008. “Science Revealed: The Hidden Story of Objects.” Studies in Conservation 53 (Supplement-1): 146–50. doi:10.1179/sic.2008.53.Supplement-1.146. Doerr, Martin. 2009. “Ontologies for Cultural Heritage.” In Handbook on Ontologies, 463–86. Berlin, Heidelberg: Springer Berlin Heidelberg. doi:10.1007/978-3-540-92673-3_21. Kapelouzou, Iris. 2012. “The Inherent Sharing of Conservation Decisions.” Studies in Conservation 57 (3): 172–82. doi:10.1179/2047058412Y.0000000005. de la Torre, Marta. 2013. “Values and Heritage Conservation.” Heritage & Society 6 (2): 155–66. doi:10.1179/2159032X13Z.00000000011. Winter, Tim. 2013. “Clarifying the Critical in Critical Heritage Studies.” International Journal of Heritage Studies 19 (6): 532–45. doi:10.1080/13527258.2012.720997. Winter, Tim. 2014. “Heritage Studies and the Privileging of Theory.” International Journal of Heritage Studies 20 (5): 556–72. doi:10.1080/13527258.2013.798671. Poulios, Ioannis. 2014. 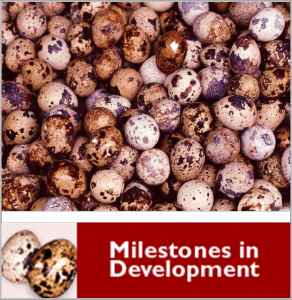 “Discussing Strategy in Heritage Conservation.” Journal of Cultural Heritage Management and Sustainable Development 4 (1): 16–34. doi:10.1108/JCHMSD-10-2012-0048. Walter, Nigel. 2014. “From Values to Narrative: A New Foundation for the Conservation of Historic Buildings.” International Journal of Heritage Studies 20 (6): 634–50. doi:10.1080/13527258.2013.828649. Alves, Carlos, and Jorge Sanjurjo-Sánchez. 2015. “Maintenance and Conservation of Materials in the Built Environment.” In Pollutants in Buildings, Water and Living Organisms, edited by Eric Lichtfouse, Jan Schwarzbauer, and Didier Robert, 7:1–50. Switzerland: Springer International Publishing. doi:10.1007/978-3-319-19276-5_1.